I often wonder when I am sitting in church surrounded by so many couples, if other marriages have struggled. Sometimes it feels as if mine is the only one. And yet, I know that although on the outside, it may seem that other families have it all together, I know behind closed doors, they too struggle to love each other, forgive, and maintain peace in the daily struggles of life. I love my husband deeply and believe that we are meant to be together. In fact, one of our songs is even titled “Meant to Be Together” by Neil McCoy. They often say opposites attract, and as far as our personalities are concerned, that couldn’t be truer. It’s actually what attracted me to my husband. And it’s also what tends to pull us apart. He is confident and secure, bold and opinionated, and makes decisions easily. 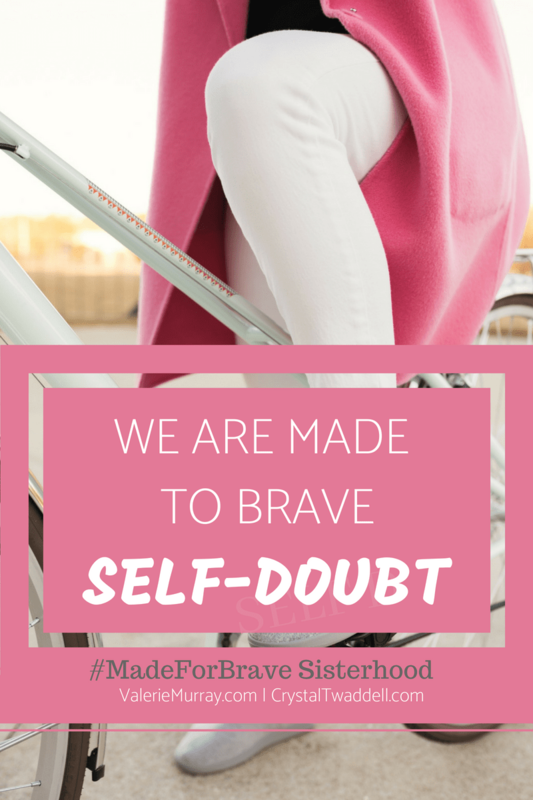 I am a people-pleaser with a tendency to be insecure, indecisive and afraid to take risks. 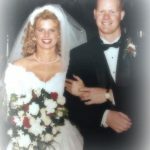 We have been married for 20 years and our love has continued to grow closer every year. My husband is my best friend. We have four kids and when we have a chance to get away alone together, we have a blast. But often times, the stress of life and our differences has caused us to really have to work hard to come to a place of reconciliation. Marriage has refined me. It has peeled back the layers of selfishness, pride and self-righteousness that I never knew I had. It has brought me to a place of hurt I never knew existed. A place where the only thing I could do was hold onto the Lord. And in this process of stretching, I have learned that there is hope in Christ to change. I have changed. We both have changed. I find it so amazing that the people whom we love the most challenge our character the most. God has a way of using them to stretch us. I never knew how deep my selfishness could be until I was married. I never knew the level of my impatience until I had children. I’ve had to really work on both and I still feel like I have a long way to go. We are human. We are frayed. We are sinners. We don’t always love the way we should. Our pride separates and divides us. But the good news is there is hope! I want my home to be a place of refuge—a three-fold cord of strength that’s not easily broken—a family that can withstand the overpowering onslaughts of life because together, we are stronger. We were not meant to be alone. We were meant to do life together and be unified. 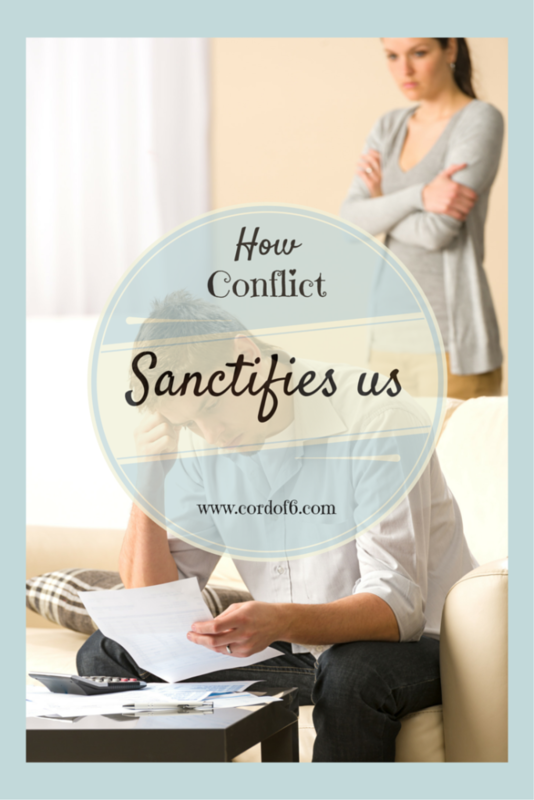 When conflict stretches my character to its limits, I must rely on the power of the Holy Spirit to weed out my selfishness and pride in order to spill out love, joy, peace, patience, kindness, goodness, gentleness and self-control. Through the hard times, I learn to hold onto Jesus for the strength to get through. These are the times when I learn to trust God. These are the times I am sanctified. I realize that the power to live out this love comes directly from God and not from anything I can muster up from within myself. 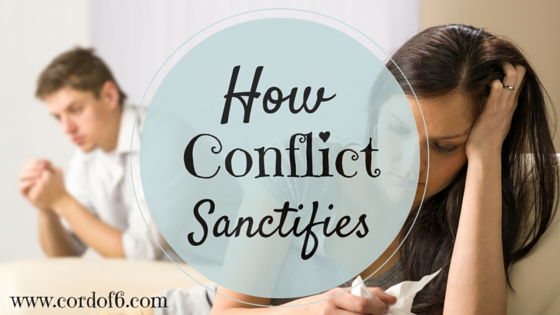 How are you being stretched by conflict in your life? 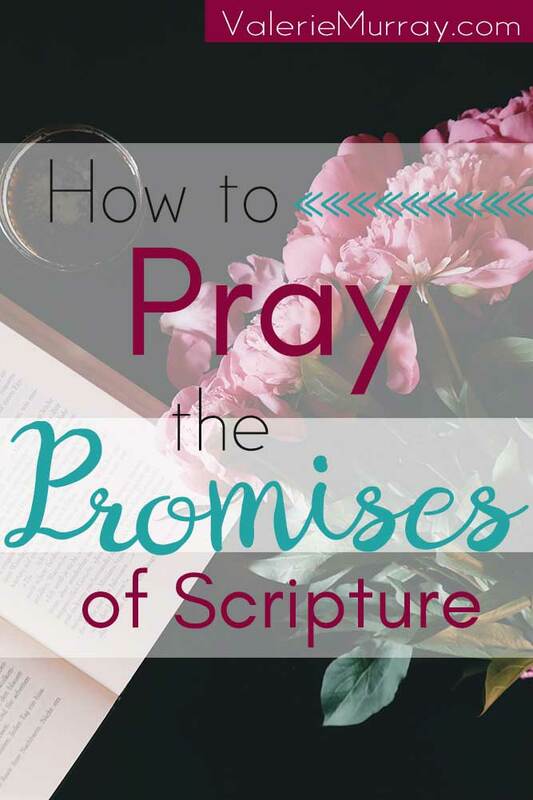 Has this stretching sanctified you and helped you to become more like Christ? Here's where you can sign up to never miss a post (it's free). Just enter your email address below. 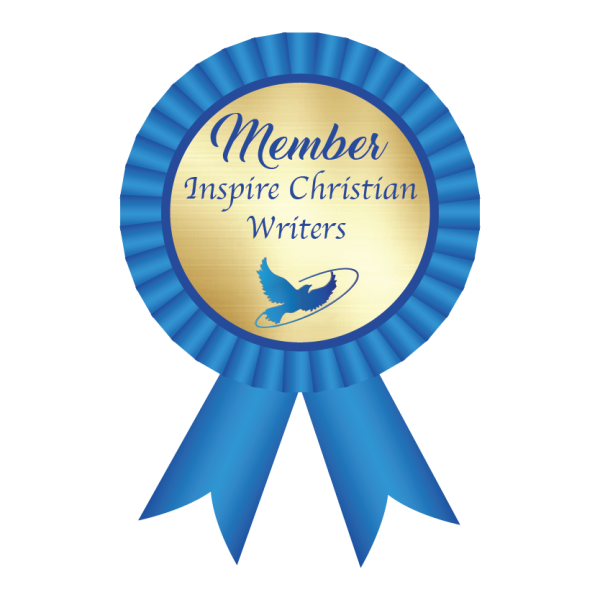 Free Overcoming Fear resources from 14 Christian bloggers! Subscribe to Cord of 6 newsletter and receive this amazing bundle! After far too long, I am just now learning this lesson for myself! It is a hard process, but so worth it. Thanks for sharing! This is hope every marriage needs! Marriage is not easy. Sometimes it’s amazing and sometimes it is just the opposite. When we dig in and make God the cornerstone, we can whether the typical storms. I always love your heart and authenticity. You are such a blessing! 🙂 This is first time I visit your marriage blog. I believe that the secret of a happy marriage was a little bit of give and take. I really appreciated how you mentioned looking at other couples and wondering if they experience struggles as well. I think that is something we all struggle with as women, that “alone” feeling. I always think of the quote “we share our highlight reel, not our behind the scenes” and that could not be more true! Thank you for your post. I enjoyed reading! I’m so glad you stopped by Mary! 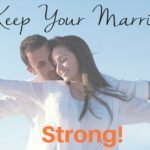 I hope to help couples know that they are not alone in their struggles. Marriage is great but it is not easy. 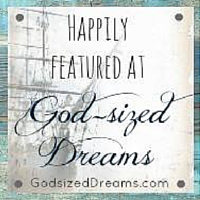 Often times we come to marriage with expectations of how we dreamed it would be. God has a great path for us to take in marriage. It may not always lead down the roads we expect but His path is meant to make us holy. It looks like you have a lovely blog. I’m so glad to meet you! I have been married for 36 years, we both came into the marriage with children and we had children together we had one goal at first, giving our children the best of life. We forgot the most important thing “God” we had tough times divorce and remarried. But when we let God into our life it was like first love all over again. We still struggle but at the end of the day God is number one in our lives and it just works. Leslie, thank you so much for sharing your story! It’s so awesome that you both make God number one. Without God, I don’t know how I would handle life, let alone marriage! Thank you so much for your word of encouragement today. Yes! The first few years of marriage were the hardest for me. We fought a lot. 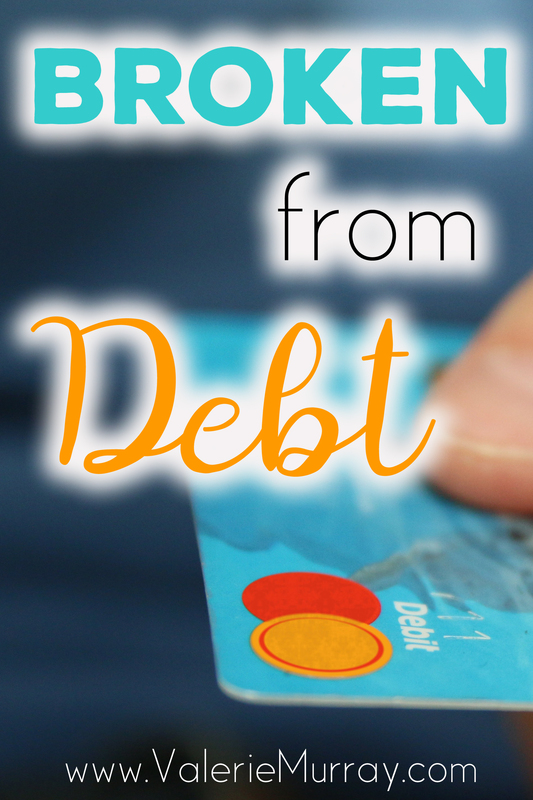 I finally realized that I was only responsible for me and how I treated my husband. 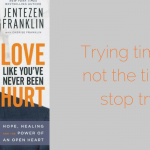 There have been plenty of times when I had to yield to the Holy Spirit instead of insisting on getting my way, and it has been for the good of our marriage. It is amazing how much being a wife and mother can develop your character and relationship with God. Very True Emily! I have been in the same place. I’m so glad you stopped by. Blessings to you and your marriage! 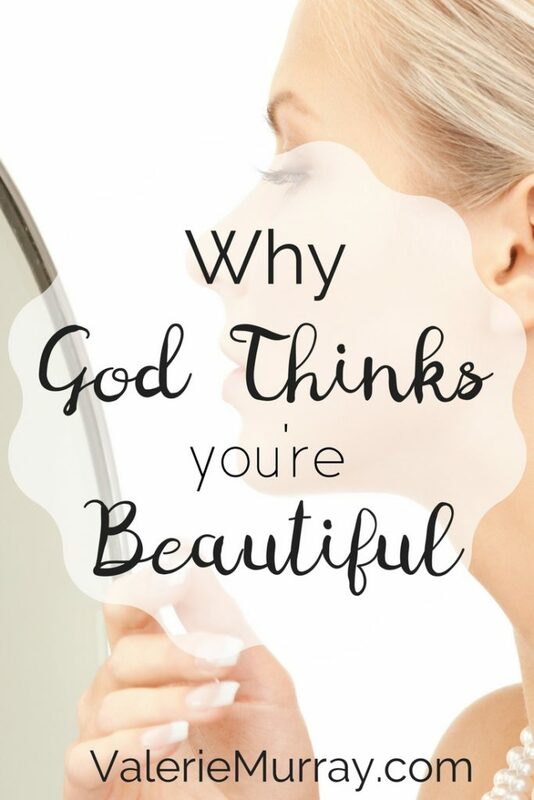 I happened to open Pinterest and saw this, read it, and felt encouraged. 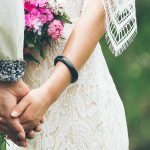 My husband and I have been married 6 years…later in life (50-‘s) years after raising our kids and being divorced. My husband too is very opinionated, bold, etc. to the point of people avoiding him at times. He’s smart and almost always right in what he says. That along with having to move to a hot state away from my family and friends put more pressure on our relationship because I do not like it her at all, miss my grandchildren, etc. Feeling resentful and trapped..thus hard to show love. Always wondering if I made a mistake marrying him then wouldn’t have had to move away. I want seasons, cool fresh fall air/colors and snowy Christmas’. I know Jesus, trust Him, but my unending sadness and second guessing and longing to be back where I came from to be with grandchildren is overwhelming. I KNOW Jesus is sustaining me, but I’m scared I will not be happy any time soon unless I can get out of here. Of course my husband loves the heat. Any prayers, comments, suggestions would be appreciated and taken to heart. Thank you. Dear Janne, Thank you for your openness. I am so sorry that you are away from your family, friends and grandchildren. That must be so difficult and that would make me sad too. I prayed for you today. I don’t like the heat either. Although I know I don’t know all the specifics of your situation, I just pray to be able to offer you hope that God knows your desires and cares for you. I Peter 5:7 says Cast all your anxiety on him because he cares for you. One thing that I have to continually work on is remembering that no matter how hard I try (even when I feel like I am right) I cannot change my husband. Many times when I pray God will soften my husbands heart towards me or a particular situation. Other times God allows me to understand the situation from his perspective and then I can let go. 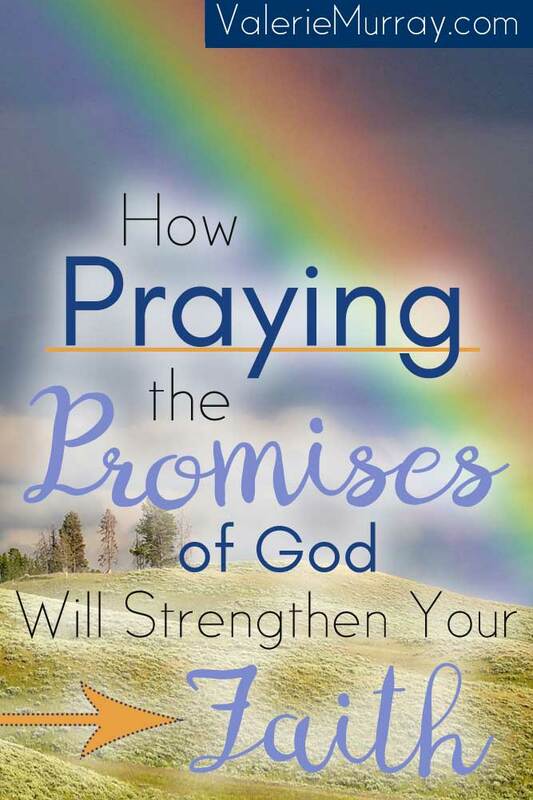 A book that helped me a lot is “The Power of a Praying Wife” by Stormie Omartian. Counseling has also helped me to know how to set boundaries and have confidence. 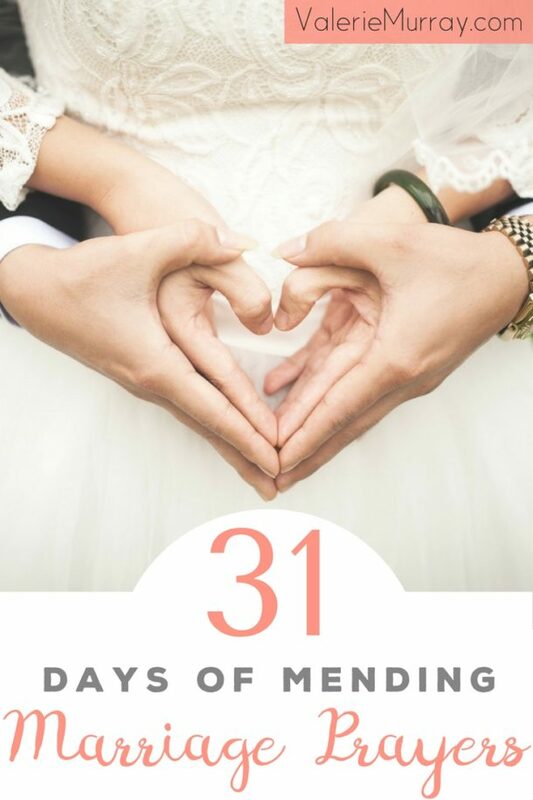 Marriage will not always make us happy and I know it can be painful but often times when we hang onto the Lord it causes us to know him in a way we never thought possible. 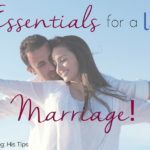 He wants your marriage to work so he will help you both. I’m praying for you and I hope you can see your grandchildren soon. Janne, no matter who we are with, there are going to be challenges. 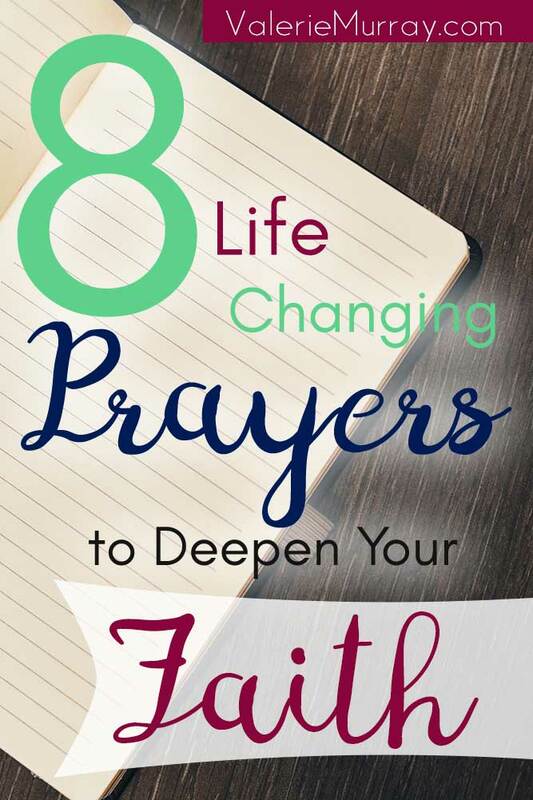 Valerie mentioned “The Power of a Praying Wife”, an excellent book. I’d like to suggest another book which has helped me to make my relationship totally different and so much better than my marriage. The book is “The Surrendered Wife” by Laura Doyle. I can’t begin to tell you the changes I have made in myself which have influenced my relationships with others. I continually work on surrendering to God and to my sweet guy. My Mom and my thirty-one year old daughter have both commented on how I have changed. My daughter has told me on more than one occasion how proud she is of me! I’m still me, I still make plenty of mistakes, but with God’s help I am continually working on taking care of myself, not controlling others and yes, surrendering. I am so much happier and amazed at how much better all of my relationships are. Prayers for you Janne, as you continue on your journey. I am so encouraged to see readers who reach out to others. I just want to thank you for taking time to give your encouraging input. The book you reccommended sounds like one I would like to read too. God bless you! Boy, is that ever true! Thank you for your authenticity. It takes courage to be this real. I’m right there fighting for this with you! Thank you for taking the time to read and stop by Katie. These are always the hardest posts to press “publish”. Thank you for your kind comment! Thank you for stopping by and commenting Sarah! I enjoyed reading your last post about the She Speaks conference 🙂 I pray for God’s direction as you pursue writing a book. That is awesome! Thank you for this post! As a newlywed, people often tell me “It’s okay to struggle, It’s okay to argue, It’s okay to disagree because that means you are getting to know one another even more intimately!” I struggled to believe the truth of that for several months – and pretended like nothing ever bothered me! 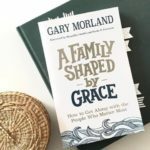 Now, through growth and sanctification, God is using our personality differences and our disagreements to grow us more intimately together as one. Thanks for sharing. You encouraged my heart this morning! Thank you for visiting. I remember being surprised when conflicts arose as a newlywed. It’s not easy being stretched, that’s for sure. I’m glad that God uses marriage to teach me what it means to love. Love is often more of a choice than a feeling. I’m so glad you were encouraged. Thank-You Valerie, you have been a blessing to us. Your comment is a blessing to me Reggie and Linda! We love your marriage blog. We have been married nearly 40 years, been through many stretches and trials, but God has been so merciful to us. Our love has never been stronger. God is so precious so real, he is one who keeps us, without him there would be no us. Stay strong in the Lord, he will give you all you will ever need. Thank you so much for stopping by and reading . Your comment made me smile and feel so blessed. Congratulations on 40 years of marriage and your testimony to others! Hello! 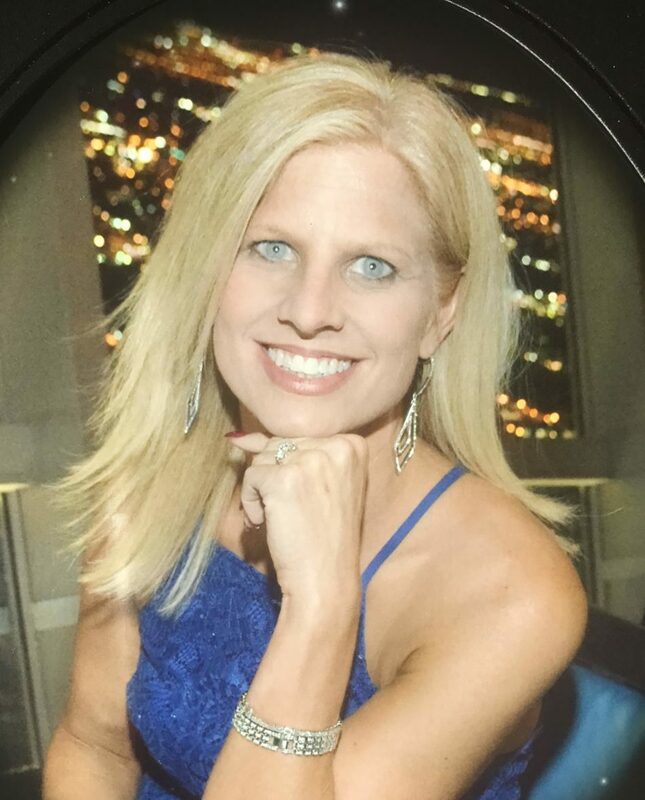 I’m Valerie, a busy mother of four energetic children and a wife to my husband of 22 years. 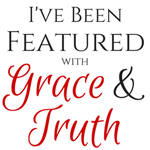 I write about learning to grow closer to God and family through the daily struggles in life. 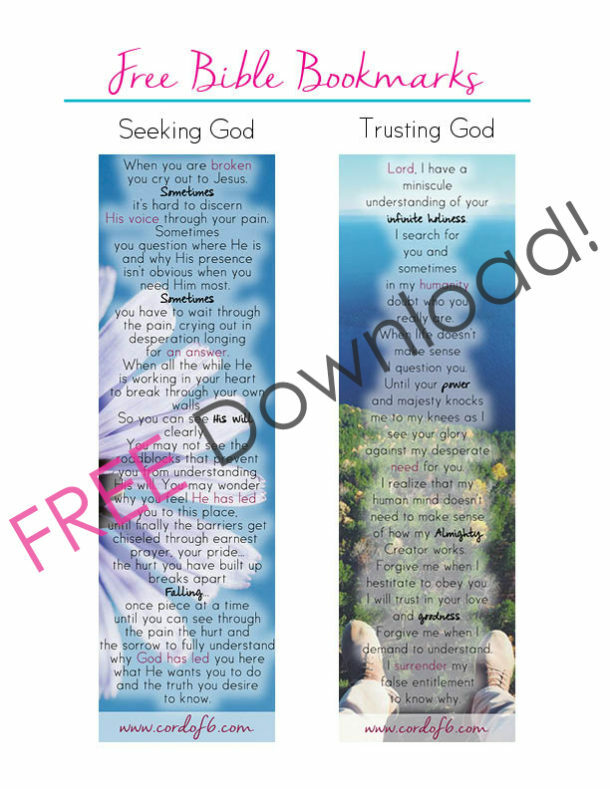 Free Overcoming Fear resources from 14 Christian bloggers! 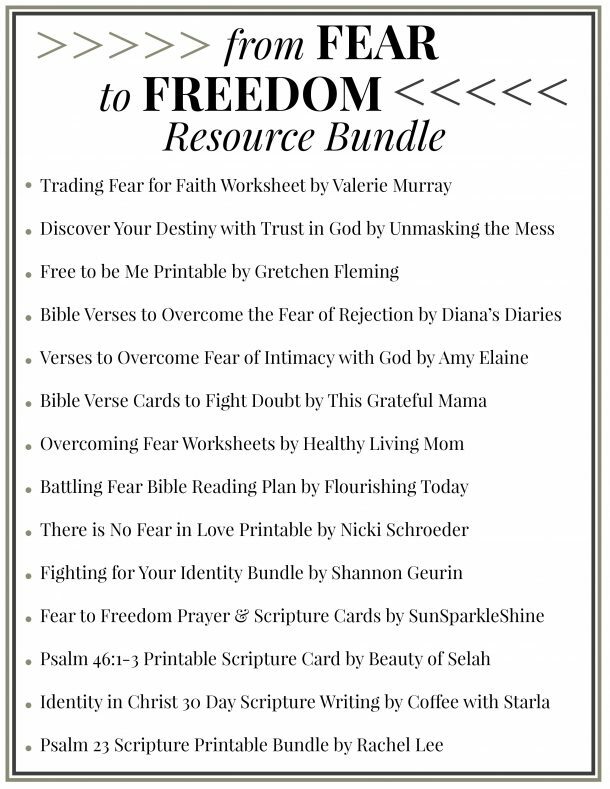 Subscribe to my newsletter and receive this amazing from Fear to Freedom Bundle! 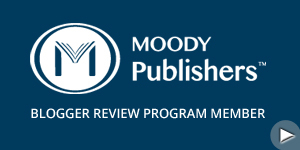 By signing up you will also receive any newsletters/emails sent out by Cord of 6 and free access to the library of printables. 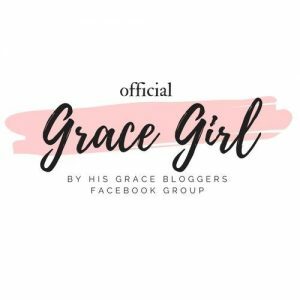 Live in Light: 5-Minute Devotions For Teen Girls—Giveaway! 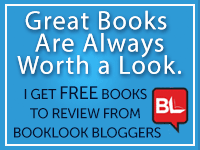 Join the mailing list and receive access to a free library of printables! 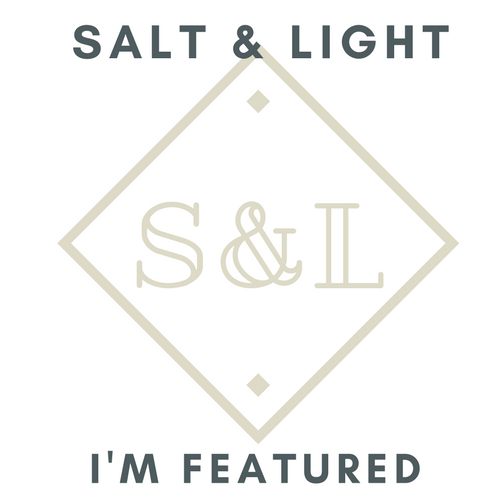 "Valerie Murray is a participant in the Amazon Services LLC associates program, an affiliate advertising program designed to provide a means for sites to earn advertising fees by advertising and linking to amazon.com." 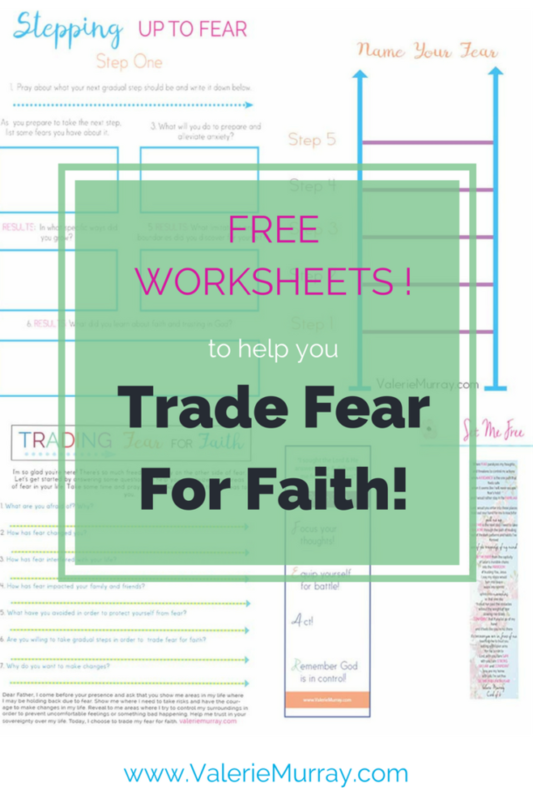 Free Worksheets to Trade Fear for Faith! 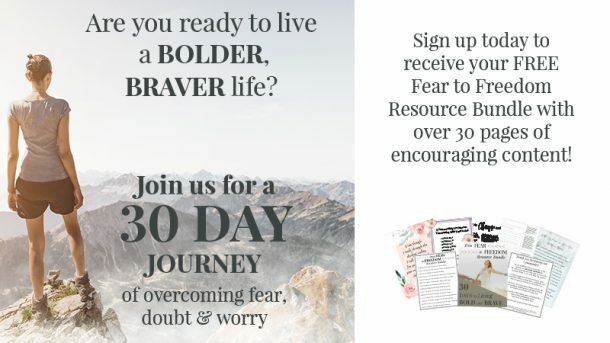 -Soon to come: Fear ladder with worksheets to help you step up to fear! 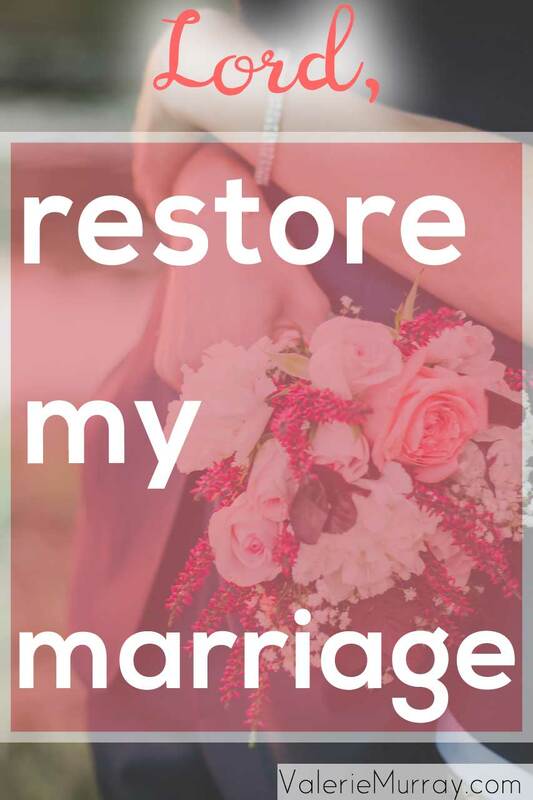 Do you want to restore the broken places in your marriage? 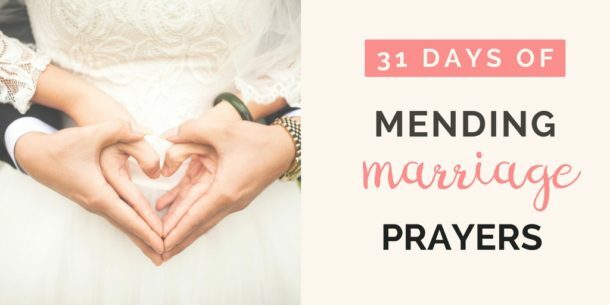 You will receive a daily prayer in your inbox for 31 days covering a variety of topics using scripture to help you learn to love with grace.